My Story card: Kaetlyn Morley remembers enjoying MMYT productions. 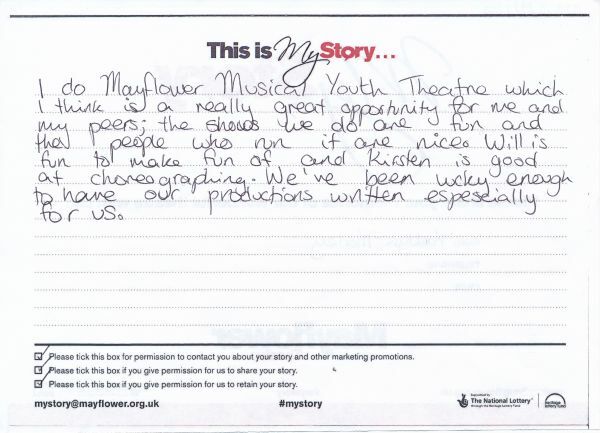 I do Mayflower Musical Youth Theatre which I think is a really great opportunity for me and my peers; the shows we do are fun and the people who run it are nice. Will [MMYT leader] is fun to make fun of and Kirsten [MMYT leader] is good at choreographing. We've been lucky enough to have our productions written especially for us.